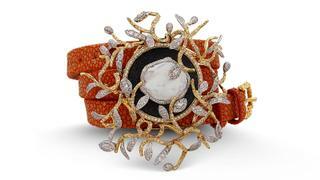 Jewellery holds an extremely important position in Indian life. Impressive gold jewels are traditionally made by craftspeople who remain a family’s jeweller for generation after generation, recreating particular styles and aesthetics. Designer Bina Goenka has broken this mould by producing pieces that put a contemporary twist on tradition, using stones, materials and designs rarely seen together. 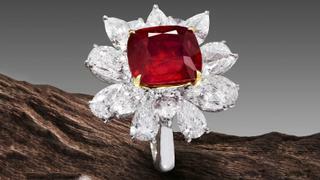 For instance, she emphasises Mozambican ruby crystals by selecting these naturally tabular-shaped stones to be petals of her jewelled flowers, rather than following the tradition of using highly-faceted stones. Goenka and her craftspeople take traditional skills that have been practised over centuries and push the boundaries, developing metal enamelling and anodising techniques. They thread keshi pearls into a weave so fine it almost looks like lace. You cannot look at a piece of Bina Goenka jewellery and count the stones, because her creations are so much more than that: they are jewels to be passed down to the next generation. There are many antique and contemporary jewellery dealers, but few know their subject to the same depths as Martin Travis, founder of Symbolic & Chase, and his fellow director Sophie Jackson. 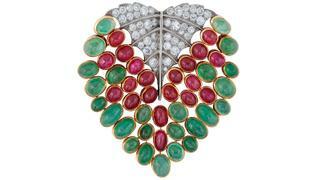 The jewels and objets d’art in their private salon on Old Bond Street, London, would not be out of place in a museum. Even the design of the salon itself impressively blends the old with the new. Book an appointment and they will help you find exactly what you had in mind – from Van Cleef & Arpels to modernist jewellers and antiquities. 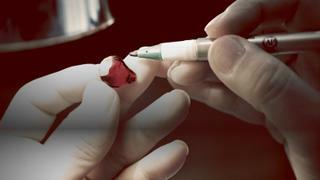 The extent of Veerasak Trirotanan’s knowledge and passion for rubies, sapphires and peridots is a rarity in itself. Self-taught in the art of gemstone cutting, known as lapidary, he lives and breathes these gemstones, using his business, Veerasak Gems, to share his enthusiasm. He always respects the gemstones’ rarity and takes great care overseeing his team of cutters, still choosing to cut the principal stones himself. Trirotanan can spend months looking at a stone and planning possible facets before the first cut is even made. Based in Bangkok, his team welcomes enquiries from around the world and shows internationally at Hong Kong and Basel. A fully trained goldsmith and master craftsman, David Marshall has rightfully earned his place among the top London craftspeople. Originally making pieces for top West End jewellers, Marshall now designs and creates for his own company. His designs have a traditional base made contemporary for the knowledgeable jewellery collector: a recent example is a classic eternity ring, set with a rare criss-cut diamond he specially sourced from Antwerp. His team is open to using a client’s own stones for a truly bespoke creation. He is joined in the business by four members of his family. 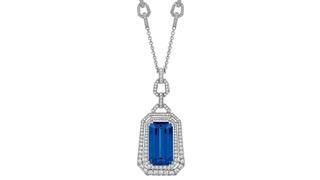 Its distinctive designs create jewels with a definite signature – connoisseurs can spot a Hemmerle jewel instantly. Despite being a fourth-generation family business and using the expertise learned from this history, Hemmerle has stepped out of tradition to create jewels that combine materials no one had previously thought of using together. Since owner Stefan Hemmerle set a diamond in a ring of textured iron in the 1990s, the business – now run by his son and daughter-in-law Christian and Yasmin Hemmerle – has never looked back. The pair have been trailblazing in their use of iron, copper, aluminium and tropical wood, setting faceted gemstones into these materials in a style that many traditionalists would consider upside-down, but that Hemmerle has made its own. 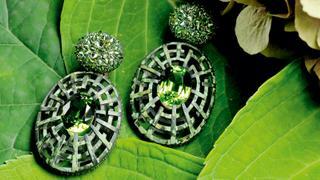 The team may spend years on the lookout for the perfect “partner” to a cameo to create a beautiful pair of earrings. Based in Munich, this year it celebrates its 125th anniversary. Throughout the 20th century, Charlie Barron’s family have been pioneers of the South Sea pearl industry – his grandfather owned one of Australia’s first pearl farms. As a result, he has a lifetime of knowledge and enthusiasm for the oceans’ gemstones. Firmly embedded within the industry and its methods, he respects the natural process that gives us pearls, and champions clean and unpolluted waters essential for healthy oysters. Barron will guide you through your selection, whether you are looking for the more unusual natural pearls, like the conch and melo, or beautiful strands of saltwater Australian South Sea pearls and Tahitian pearls that have taken years to compile for their perfect colour matches. 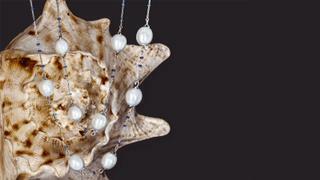 Visit him at his London office or contact Paspaley Pearls, the business his family helped build, in Sydney.